There is no doubt that after almost 40 years as a professional musician Martin Simpson is, right now, better than ever. 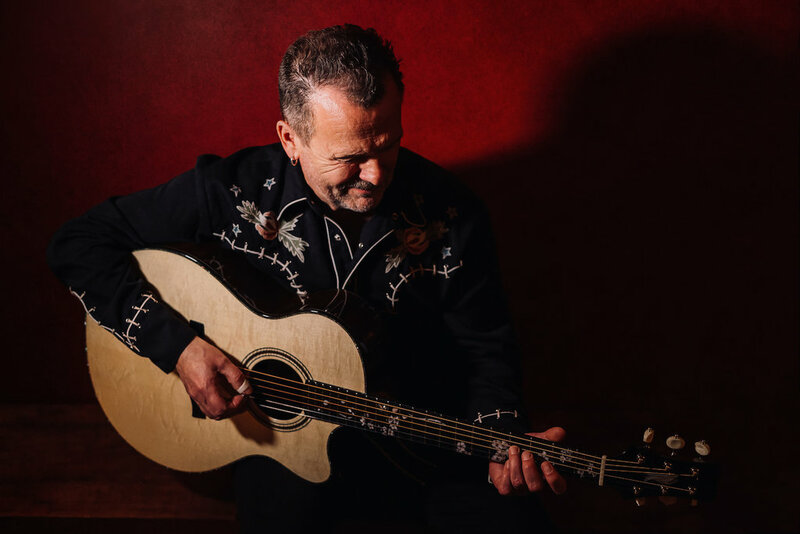 Widely acknowledged as one of the finest acoustic and slide guitar players in the world, his interpretations of traditional songs are masterpieces of storytelling. His solo shows are intense, eclectic, spellbinding and deeply moving. Martin has been nominated an astounding 26 times in the twelve years of the BBC Radio 2 Folk Awards - more than any other performer - with 9 consecutive years as nominee for Musician of The Year, which he has won twice. 2008 saw an incredible 5 nominations for "Prodigal Son' and 2 wins, while in 2010 he had an unprecedented 6 nominations for his CD, "True Stories" and a win for Best Traditional Track, "Sir Patrick Spens". 2012's nominations for Martin include, Best Album for 'Purpose & Grace", Best Traditional Track for "The Lakes Of Ponchartrain" and Best Musician.